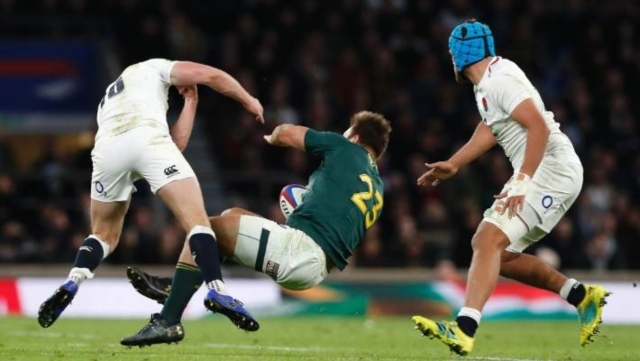 The Springboks will still be fuming from Saturday’s 11-12 defeat to the English at Twickenham. Rightly so, given that we dominated territory and possession, and should have been well clear on the scoreboard going into the second half. Oh, and then there’s THAT tackle by Owen Farrell, which will be hotly debated for many years to come. I don’t want to pick at an open scab, but we covered all of that here. One thing we didn’t mention was that referee Angus Gardner also let a few other indiscretions slip by without punishment in that dramatic final passage of play. Image 1: He’s in bottom corner backtracking when Papier touches the ball. 2: Starts to move forward, and clearly offside. Bottom line – we let ourselves down, but it would have helped if Gardner and his TMO hadn’t cocked things up at the end. …the Boks were their own worst enemies and did themselves no favours. However, it should still have been a narrow win against an inferior English side. First half mistakes by the Boks doesn’t absolve Gardner from an awful and cowardly decision. I don’t like ref-bashing, but that wasn’t a difficult split second decision and he had a replay. Pressure got to him and he made a cowardly call in front of a big English crowd. That goes against everything World Rugby has been preaching for the last 18 months. True in everything but the ref-bashing bit. It’s a national sport and we love it. Erasmus is clearly still incensed by Owen Farrell’s armless, unpunished ‘tackle’ from Saturday’s clash at Twickenham. 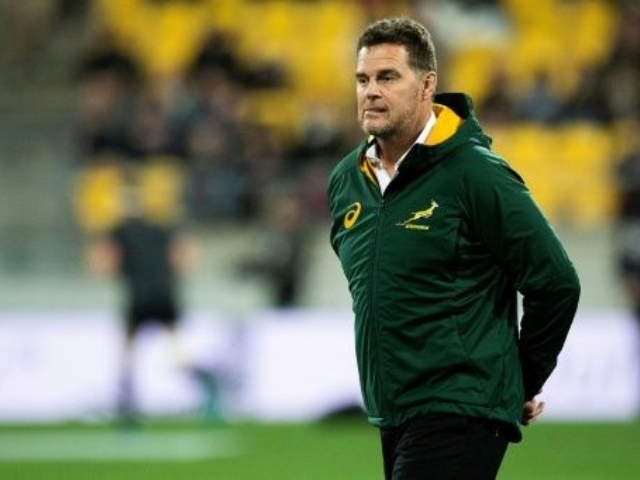 New video footage doing the rounds on social media shows Erasmus teaching centre Andre Esterhuizen, the victim of the controversial hit after the hooter on Saturday, how to execute a tackle like Farrell did during a training session in Paris on Monday. I think the message is pretty clear there. All we can do from here on out is try to win our three remaining tests for the year, starting this Saturday against the French.